Talk about a family lesson in art bidding and financial frugality. A video featuring Blue Ivy Carter went viral last weekend, giving all children and parents a lesson in keen money moves. 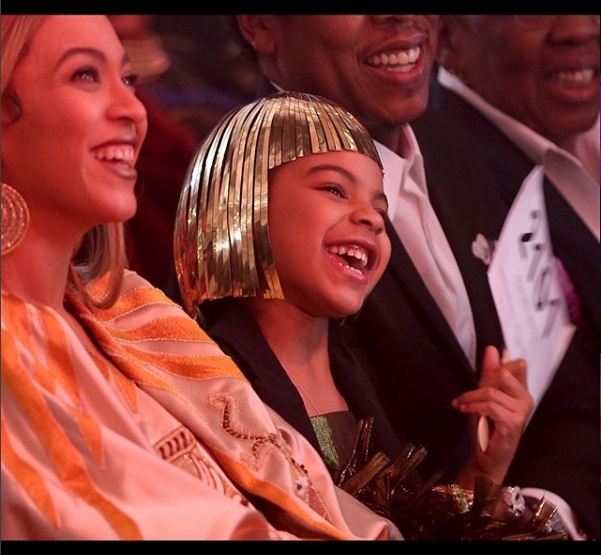 Blue Ivy, the offspring of hip-hop and R&B royalty Beyoncé and Shawn “Jay-Z” Carter, set a bid at a recent auction that almost led to an investment to the tune of $19,000, and dad stepped in just in time to stop the purchase. 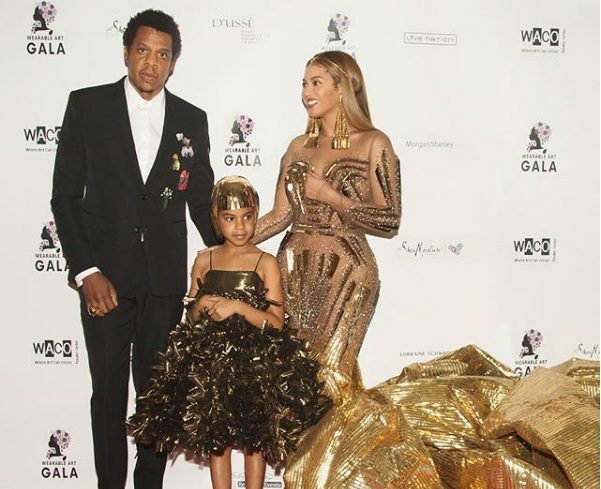 At the second annual Wearable Art Gala in Los Angeles, where TV personality Star Jones served as emcee, Blue Ivy raised her paddle to purchase a portrait of actor Sidney Poitier. We all know dad can afford it, especially since he landed the top spot on this year’s Forbes list of the most wealthy rappers. But that wasn’t the point. It’s all about being smart with the multimillion-dollar empires that Queen Bey and Jay-Z have built. Jay tried to wrestle the paddle from his 6-year-old daughter’s hands, as seen in social media footage of the event, and Tyler Perry ended up beating the youngster with a $20,000 winning bid on the acrylic painting. According to reports, Blue Ivy later won with a bid of $10,000 for a Samuel Levi Jones piece, a 36″ x 36″ work that includes deconstructed law and medical books. Coming from such investment-savvy and art-loving parents, it’s definitely a purchase with wealth-building potential: Jones is a lauded artist whose works have been presented at the San Fransisco MOMA, Los Angeles County Museum of Art, and the Studio Museum in Harlem. Jay-Z himself has a collection worth, according to Forbes, more than $490 million. The auction, hosted by Beyoncé’s mother, Tina Knowles, and stepfather, Richard Lawson, raised funds to benefit the W.A.C.O. (Where Art Can Occur) Theater Center, which provides mentorship programs for teens and a platform for self-expression through theater and art. Vanity Fair reports that former First Lady Michelle Obama made an appearance via a pre-recorded message to honor Beyoncé’s humanitarian work, calling Beyoncé her “sister” and celebrating her for her work in bringing clean water to communities across the globe and helping Houston residents rebound in the aftermath of Hurricane Harvey. Jay-Z’s mom, Gloria Carter, was also honored with the Everyday People Award. 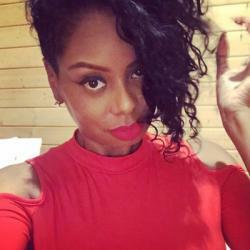 She co-founded the Shawn Carter Foundation to help those facing socioeconomic hardships gain access to education and provide scholarships and mentoring for attending college.